Move over Christmas, Halloween is stealing your thunder. It's about time Halloween decorations outnumber the sparkle, shine and glow associated with those seen during Yuletide season. 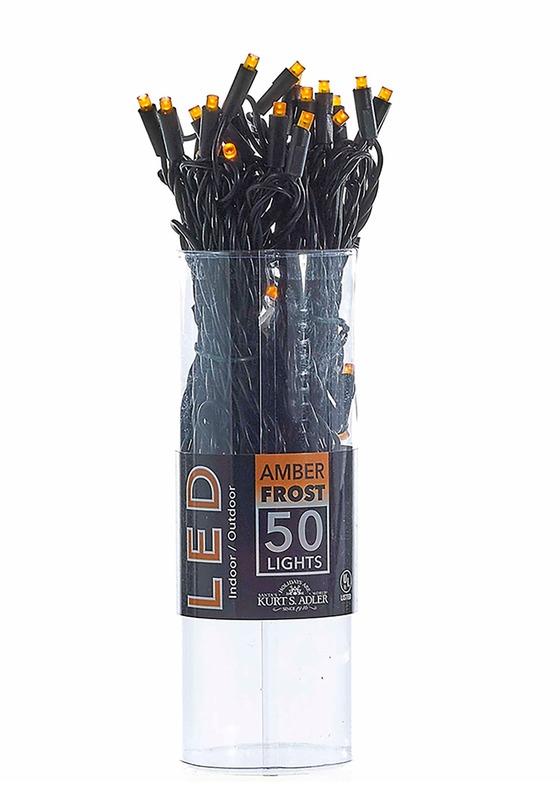 Thanks to lights like the amber frost LED string lights, now offsetting dark and grim outdoor decor scenes is simple and fun. The orangish glow is given off by 50 tiny lights all connected by a cord and they especially conjure an eerie feeling when they're wrapped around animatronics. Just think of how amazing they'll look wrapped around your animatronic witch scene; use them to fill the inside of a cauldron so it glows. Take a more traditional route an use them to decorate a bush or drape around a tree. It's also a perfect way to illuminate a porch or a patio. 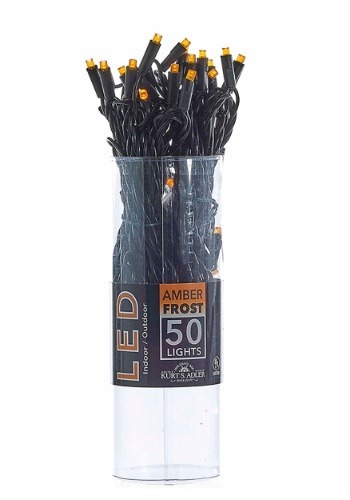 The total length of the 50-indoor/outdoor string lights amber frost LED are attached to a string, measuring approximately 25.5-inches long. Every light is spaced 6-inches apart and an "end connect feature" allows you to connect the strings. Connect up to 16! The tight sire twist helps prevent tangling and the wide angle LED bulb creates a new, sophisticated look. Pick up all of Kurt Adler's decorations to create a custom scene!